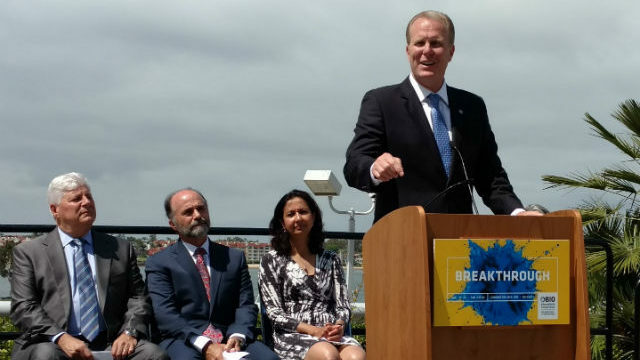 Mayor Kevin Faulconer on Wednesday welcomed the world’s largest life sciences convention to San Diego, and made a plea for expansion of the convention center. 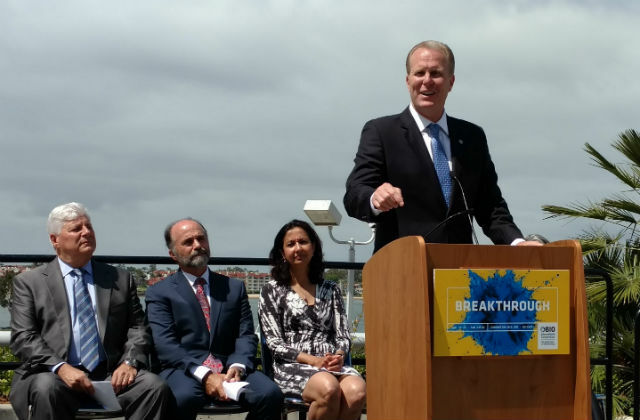 “You couldn’t have a better symbol for why we need to expand this convention center,” Faulconer told reporters after a press conference welcoming the Bio International Convention next month. He said San Diego is “in a competitive environment” with other cities, and urged voters to approve a ballot measure in November that would raise the hotel tax to fund expansion. Faulconer and local biotech leaders met with the press on the convention center’s second-floor courtyard to outline the economic impact of the four-day scientific gathering that begins June 19. The event is expected to draw 16,000 attendees from 76 nations and have a $40.4 million impact on the local economy. It’s the third time this convention has been in San Diego. Joe Panetta, president and CEO of the trade group Biocomm, said the convention is a testament to the region’s emergence as the third largest biotech cluster in the world. “It’s important to bring the world to San Diego to appreciate the value of the life sciences cluster here,” he said. The convention always draws major public figures. Former British Prime Minister David Cameron will be among the keynote speakers this year. At the last convention in San Diego in 2014, former Secretary of State Hillary Clinton addressed the conference.